I am.. Abdulkadir Shehu but popularly called AK SHEHU. I am a Nigerian, a Muslim who was born and brought up in Nigeria but currently living in Malaysia. I am happily married with two lovely kids. It is often difficult for me to describe myself, but I can say I am an easy going and friendly person who loves sharing knowledge and experience. I graduated with.. a First-Class Honors (Business Information Systems) from the University for East London (UEL) and Master of business Administration from Anglia Ruskin University. Currently, I am a full-time lecturer at a College in Malaysia where I teach IT and Business Management modules at undergraduate level. I also supervise Post-graduate and Undergraduate students. I am the founder and CEO of.. JoomSchool International, a Joomla & ICT Training institution in Kaduna State of Nigeria. Joomla! is a free and open-source content management system (CMS) for publishing web content. Over the years Joomla! has won several awards. It is built on a model–view–controller web application framework that can be used independently of the CMS that allows you to build powerful online applications. I have been using Joomla! actively since 2010, although I was introduced to it in 2009 by a classmate and a friend who though I should give it a try. After exploring and researching the Joomla! Project, Booooom!! !… I fell I love with Joomla! Over the years, I have been.. training students and individuals in my country Nigeria and in Malaysia where I live currently. Most times I do my training for free to give back to the community, but I do also have training where I charge some fee – usually a fraction of what other trainers charge. This is because I teach Joomla not for the money but for the fact that I love to share my knowledge with others. As part of my interest to share knowledge, I decided to.. put in writing what I know about Joomla in the form of book. Thus, I wrote and published three (3) Books of Joomla within 4 years; Building Websites with Joomla 1.5 in 60 minutes, Building Website with Joomla 2.5: A Game Changer For Young Entrepreneurs, and Building Websites with Joomla! 3. To help reduce rates of unemployment back in Nigeria.. 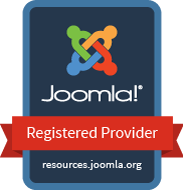 I conduct Joomla! training whenever I go back to my country (at least once a year. I strongly believed Joomla skills could earn Nigerians a living. Ak Shehu, center, with other delegates at CMS AFRICA 2018. On this year’s CMS Africa Conference 2018 held in Kigali, Rwanda.. I was a speaker, and it was my first of such event. It feels great to be part of the conference where young minds come together to share knowledge and network. It gave me hope that Africa will rise again! What motivated me to speak at the conference what state of the African country is bad. The unemployment in Africa is alarming, and little practical effort were given by heads of governments. I find this disheartening and felt I could make an impact by speaking to my brothers and sisters on how we can all reduce this problem that has persisted over decades. unemployment crisis for youths in Africa?.. YES! The world now is revolving round technology and in fact anything you do today is one way or another linked to technology. This signifies a strong potential of technology in Africa. Technology brings about good relationship between productivity and employment; this is to say that if technology is harnessed correctly, youths in Africa will be employed. But this can only be possible with the strong support from the government; because many youths do not have access to technology, so if the government could provide such support it will help a great deal. Again, the government should provide and enabling environment and support the youths with skills empowerment and believe me you will see Wonders! proud of.. First, I recently founded JoomSchool International in Kaduna- Nigeria which I hope will empower thousands of youths in Nigeria. I also run a Joomla User Group Kaduna – A group that brings together Joomla users and interested persons to share and learn Joomla in the local community. I also run a Joomla club in my College to help spread the Joomla love among students.I am also very happy to be part of the Joomla Project Translation to my local language which is Hausa to help make Joomla accessible to even more people in Nigeria or any Hausa speaking community around the world. And many other projects. Cyber Security is one of the conversations we are having in the Tech world. Do you see us getting to a point where there’s cyber peace, and what steps should be taken both by individuals and governments?.. The answer is simple, all persons using the internet should do so ethically, it may be difficult for all to comply but if the majority act ethically, then we can have some peace in the cyber space. On the other hand, governments need to train it staff, have regulators and provide orientations campaigns for public. What are your hidden talents, away from all the techy stuff.. Hahahaha!I love cooking, I am a very good cook – I will confidently emerge a winner if I ever compete in a cooking competition. A quote you live by.. Unless you do something beyond what you have already mastered, you will never grow.